When I heard about The Madras Mangler , I was very intrigued. The title is catchy and new. The cover is appealing and instantly made me feel thrilled and anticipatory of a consuming criminal mystery. The blurb is intriguing and catches the interest of the reader at first glance. A metropolitan city with beautiful beaches, a hot and humid climate that can test your endurance levels and with people who value their families and their culture, Usha brings to us a thrilling tale of a serial killer with no conscience running free in this conservative city. Beautifully and vividly sketched, she brings out the beauty and the social diversity of the city and its people. The writing style of the author is simple and yet captivating. She has created and admirably handled a line up of characters, each with their own characteristic nature and traits. A perfect bunch of suspects is provided and a suitable back story given for each of them. The author is well read and she has done her research which shows when one is reading the book. The plot is well conceived and admirably executed. I did figure out the killer and the Vir angle beforehand but still was duly kept interested in the story until the very end. There are well planned twists and turns but they are somewhat mellowed and thus, sometimes don't leave the desired impact on the reader. The characterization is good and I liked the characters and could relate with them either personally or through people I have met in my life. The characters effectively take the story forward and keep the reader interested in the book till the end. Usha made me laugh, instilled fear in my heart and also made me feel high with the thrill of chasing an elusive, sly and vicious serial killer! While I loved the mystery and its execution, I did feel that how the killer chose his victims was not clearly explained. There were so many colleges and thousands of girls, so how did he expressly choose these five friends? How did he come across them? The romance is a bit under developed in the book. I would have loved if the love pairs had been given some intense scenes like a clash in their beliefs or emotions etc. Maybe this will be handled in the sequel which I guess is planned since the author ends the book with a hint of it. The climax is crisp and I enjoyed it immensely. My interest dipped a little in the middle part of the story but then was again upped in the later part. Overall, I enjoyed the book and the mystery and give The Madras Mangler 4 out of 5. A captivating mystery from a very promising author, this one is a must read for all mystery lovers. Kudos to Usha for taking a risk to write a mystery novel which is very tough and for doing it so beautifully. I wish her the best and hope to read more from her in the future. 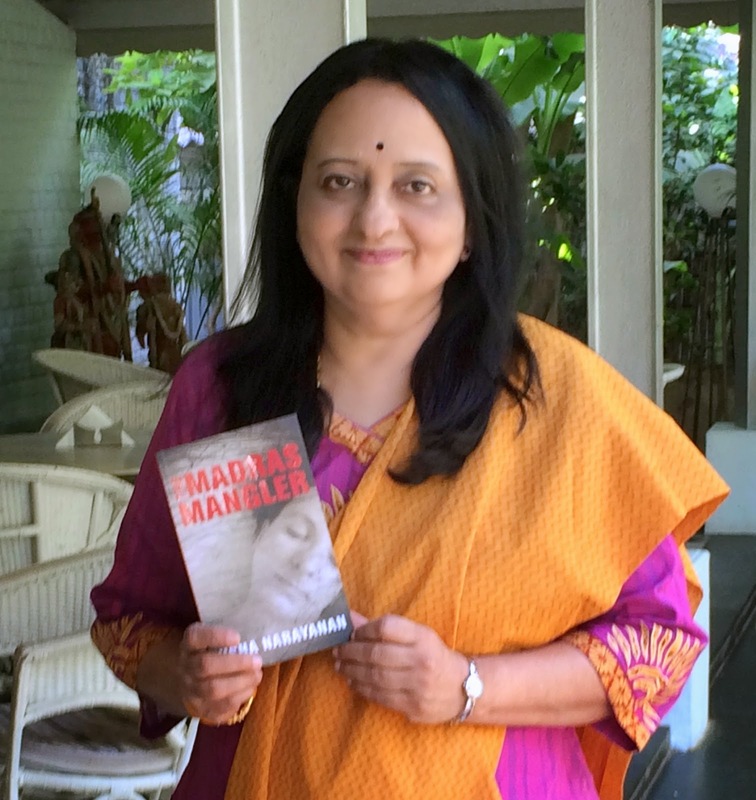 Today I have with me Usha Narayanan, the author of the crime and mystery novel, The Madras Mangler. She has worked as English teacher, creative director in ad agencies and radio, corporate communications manager, web editor, green volunteer and head of copyright permissions. She is a gold-medallist with a Master’s degree in English Literature. She also has a diploma in creative writing from the University of Hawaii. Welcome to Njkinny's World of Books & Stuff, Usha! I was born near Madras and have lived in Madras most of my life ― except that it is now called Chennai. 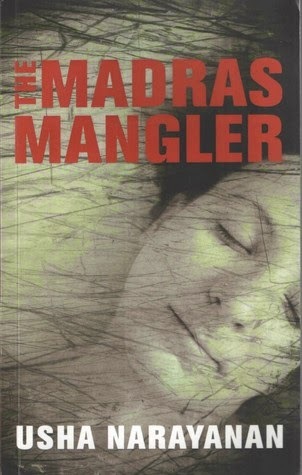 Of course, my first book, a suspense thriller, had to be named ‘The Madras Mangler’. I studied in Presentation Convent, Church Park, which perhaps accounts for my ease in writing in English, and my career as a writer. Then followed two Masters degrees, in English Literature and Education. Q2. In one sentence, what is your book about? Five feisty girls and a hot hero face up to a psychopathic killer, taking you on a rollercoaster ride that is chock-a-block with chills, thrills and wit. The sheer joy of creating something from my own imagination, anchored in the reality of the world that women confront every day. I’m aiming for smooth, sassy, and simple – with huge dollops of fun. Ultimately, I want you to keep turning the pages till you reach the end, and ask for more! The killer in my novel is evil, obsessed and unstoppable. He is also the lynchpin holding the plot together. The title had to reflect this, and grab you by the throat! Alliteration works well and I played with quite a few options ― Campus Killer, Sicko Strangler and Chennai Casanova. And the winner was of course ‘The Madras Mangler’. When you pick up a novel, you want to be entertained, not to be lectured. Hence my goal is to make the book unputdownable. Of course, there is a subtle message in it for girls of today: Don’t compromise. Fight for your right to lead a fulfilling life. I started by creating the starry-eyed girls who are stepping out from their homes for the first time, into the big, bad world. Then the serial killer cannons into their lives and I had to plot and scheme to keep two steps ahead of him and the reader! The infinite possibilities of creating a world where I am the creator, the protector and the destroyer. Nothing can equal the thrill! Not really. I spent months agonizing over every detail and polishing every word. Maybe I’d think differently after I've written ten books. I’ll have to wait and see. A thriller is really tough to write. It’s like assembling a jigsaw puzzle with a hundred thousand pieces. Plots, subplots, clues, red herrings, forensics, research, suspense, twists and cliffhangers ― everything must mesh together to form a perfect picture. Except for four years teaching English at junior college level, I have always been a writer ― for ad agencies, radio, corporate communications, websites ― and now as a novelist. Q12. 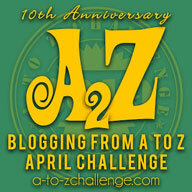 Is there anything you find particularly challenging in your writing? I find it difficult to write about the darker side of life. I have to push myself, as I know that the villain must be super-smart and ruthless in order to make his battle with the hero exciting. Finally, when my writing makes me shiver, I know I’ve succeeded! Q13. How did you get your first break at getting a novel published? I started writing the novel without knowing anything about getting it published. Once it was done, I began googling publishers and their contact information. Query letters, synopses, follow-up ― I took it one step at a time. I got a few rejection letters and then, ‘Snap!’ Leadstart Publishing sent me a contract. After a few iterations with the editor and the cover artist, my novel appeared in bookstores and through online stores. Q14. What are the 5 things that you learnt in your journey of getting your novel published? Make sure your query letter and synopsis grab attention. Polish your manuscript till it is the best it can be. Do your research. Follow-up after the requisite interval. Have faith in yourself and your writing. Q15. Do you have any advice for other writers? Keep writing, keep reading, keep your mind open to opportunities, and don’t ever give up. Good luck. A romcom that is a cocktail of fun and fizzy elements like power, politics, love, hormones and hangovers, set in the colourful media world. And second, an action thriller set in mythical times, with a full blast of adventure, romance, magic and divinity. Q17. Where can people find you on the Internet? You can read my blogs and contact me at www.ushanarayanan.com. I love responding to comments and feedback. Follow me at www.facebook.com/writerusha and www.twitter.com/writerusha. 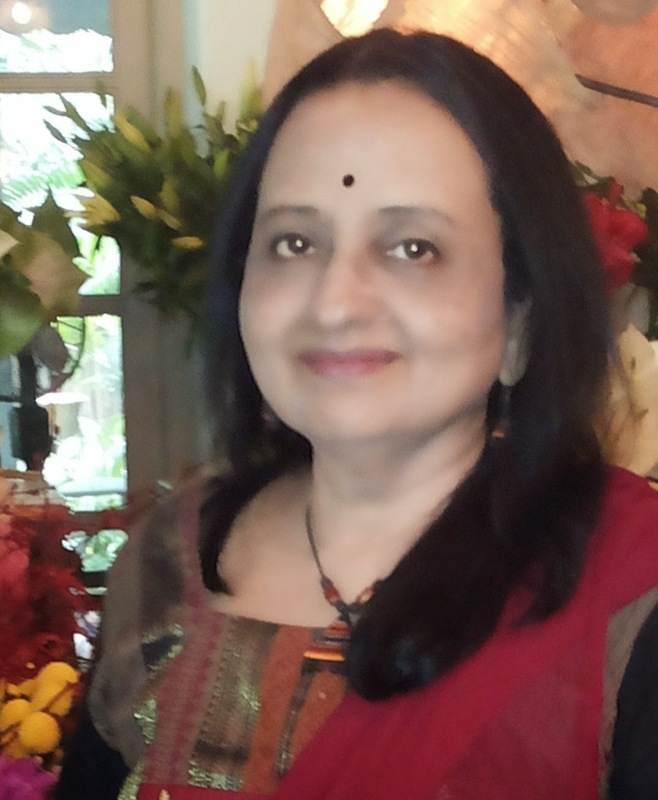 Check out my book trailer and videos at www.youtube.com/writerusha.